in our visiting tour on Lake Como. A list of destinations is available, each with an audioguide. We travel northbound, from Como to Piona. Adjacent to the perimeter wall of Moltrasio's Villa Passalacqua is the church of Sant'Agata. You get to it down Viale dei Cipressi. 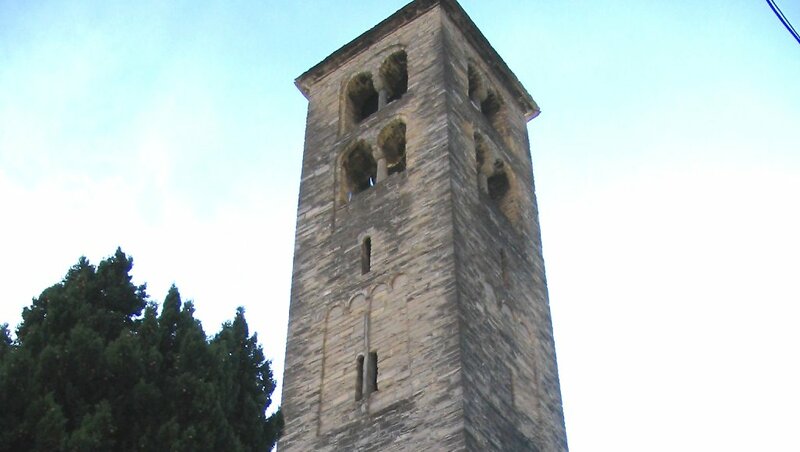 The church of Sant'Agata is a fine example of a Romanesque building with a 13th-century Lombard-style belltower; it has mullioned windows with one or two lights and rows of small ornamental arches. The interior is decorated with 14th-century frescos. In the 1600s the church was used as a lazzaretto when Lombardy was hit by the plague and Moltrasio's population was decimated. Download an audioguide for your smartphone?